This module will explore the symptoms of moderate dementia; managing excess disability; medical management in moderate dementia; conceptual framework of the progressively lowered stress threshold; planning care and outcome measures. Define “excess disability,” describe six common causes, and list two measures to prevent each. This is one of five modules in the Caring for Person’s with Alzheimer’s disease and Other Related Dementias and their Families Across the Continuum of Care Series. The overall purpose of the series is to increase the knowledge and skills of nursing and other health care professionals to enable them to facilitate optimal dementia care and family support during all stages of the illness. This series was made possible by funding from the John A. Hartford Foundation and Virginia G. Piper Charitable Trust. Self-paced voice-enhanced PowerPoint presentations, videos, interactive learning activities, references, call to action, post-test and evaluation. Nurses and health care providers in clinical and academic settings. Content may also be of interest and helpful for patients, family members, caregivers and the general public. 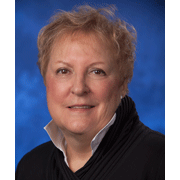 Geri Hall is an Advanced Practice Nurse and Clinical Nurse Specialist at Banner Alzheimer’s Institute. She is a nurse leader in the care of persons with dementia and has served on numerous boards, panels, task forces and public policy committees to develop standards for dementia care. Dr. Hall is noted for the development of the Progressively Lowered Stress Threshold Model (PLST), used to plan care for persons with dementia. She is a fellow in the American Academy of Nursing.